Charles Burki was born in 1909 in Indonesia (a “Nederlands Indie”). 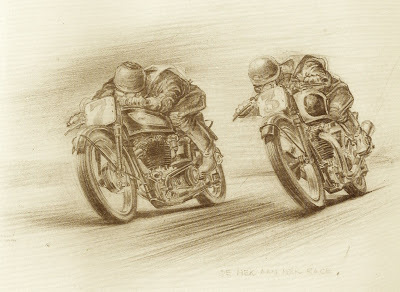 From a very young age he combined excellent skills as an illustrator with a strong preference for technical subjects. 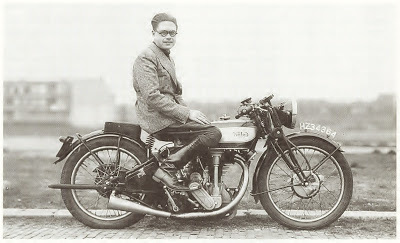 When he settled in Holland in the middle of the 1930s, motorcycles were his favorite subject. 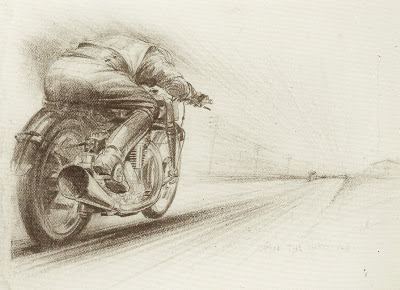 He made many illustrations for the Dutch motorcycle magazine “Motor”, like the one below (that must be a Norton M20 and a translation is not required!). 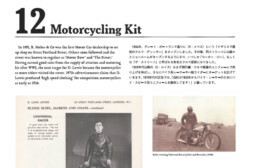 It will not come as a surprise that he spent his earnings on fast motorcycles and in 1935 he bought an M30 International. 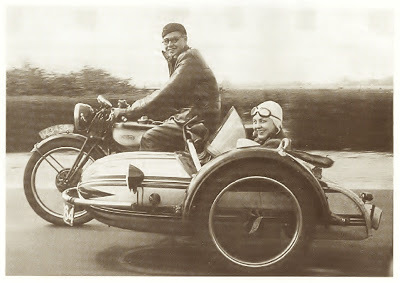 Used solo for two years it was then hitched to a Steib sidecar; that’s his wife Sophia in the chair. In 1942 Charles was captured by the the Japanese and he spent three years in prison camps in Indonesia and Japan. He survived two dramatic events in captivity; first, when the boat he was travelling on was sunk by a torpedo…and then, on the 9th of august 1945, he survived the blast of the “Fat Man” atomic bomb that destroyed Nagasaki, from a distance of less than 2000 meters from ground zero! 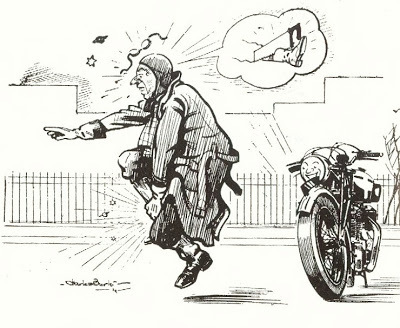 One of Charles’ drawings depicting an old rivalry – Triumph vs Norton! The drawings below were made in the Fukuoka 14 prison camp in Nagasaki on pieces of scrap paper that he had found. 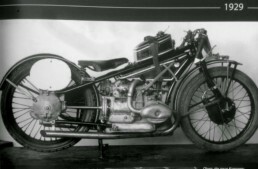 Obviously, they were made from memory [POW artwork and writing have been collected in exhibitions and books such as ‘Flywheel’ – pd’o]. It’s not clear if you mean that the bomb destroyed Nagasaki from a distance of less than 2000 meters or if you meant that Charles survived the blast from a distance of less than 2000 meters. The bomb exploded at about 470 meters AGL. Also there are two “the” words in the first sentence. Other than that your site is well crafted. thanks for the note. This was a guest post from a non-native English speaker…at the time I put such posts in ‘warts and all’, but have since begun heavily editing submissions! Hadn’t got to the ‘back catalog’ yet…but have just clarified John’s words. 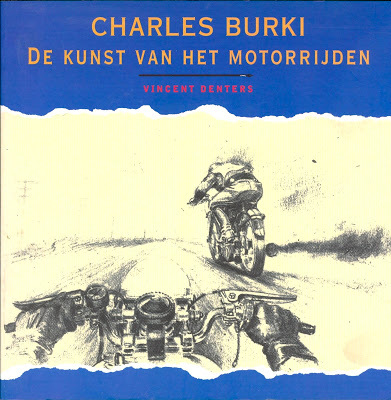 Sometimes second hand editions of this book can be bought here: http://www.boekwinkeltjes.nl/s/?q=Charles+Burki.+De+kunst+van+het+motorrijden&t=1&n=1 Perhaps it is difficult to order for non Dutch speaking persons, but if you are looking for this book it is an opportunity.